The World of Harold Meachum and the Iron Fist! David Wenham joins the Women of Marvel Podcast! For this week’s podcast, host Judy Stephens is joined by Harold Meachum himself, David Wenham, to chat about Marvel’s Iron Fist, the sets and more! Listen to the Women of Marvel – Episode 138 now! 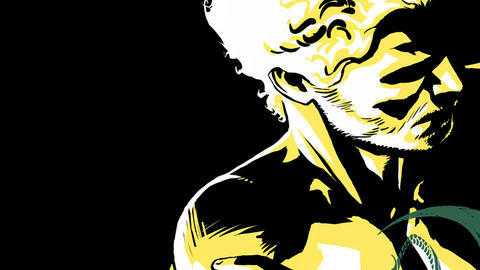 Marvel’s Iron Fist is available streaming only on Netflix now! Plus, update your schedules as Women of Marvel is moving to Thursdays! The Women of Marvel podcast assemble to chat all things Marvel and more! New episodes will be released every Thursday, co-hosted by Marvel Director, Content and Character Development Sana Amanat, Marvel.com Producer Judy Stephens, along with Marvel DMG Senior Social Media Manager Adri Cowan. Have feedback or questions? Email us at WomenOf@marvel.com, or tweet your questions and comments to @Marvel with the hashtag #WomenOfMarvel!